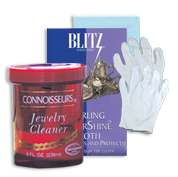 Find the best cleaning & polishing products for your jewelry collections! Shop solutions & formulas for gold, silver, optical items or precious stones, such as diamonds. Get the best prices thanks to our wholesale discounts!